When Seminole, Oakland Hills and Riviera Country Club need scorecards, they turn to us. And you can too. 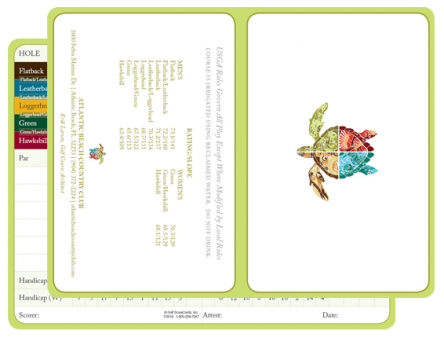 Best Overall Value – You don’t have to pay more to get top quality, quick turnaround and outstanding service. 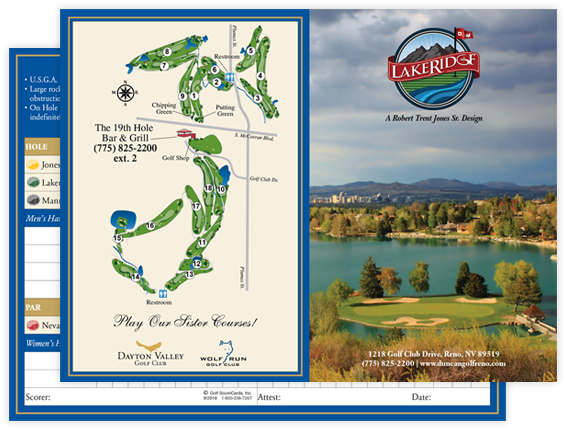 We work with over 2,000 golf facilities - more than any other golf specialty printer. 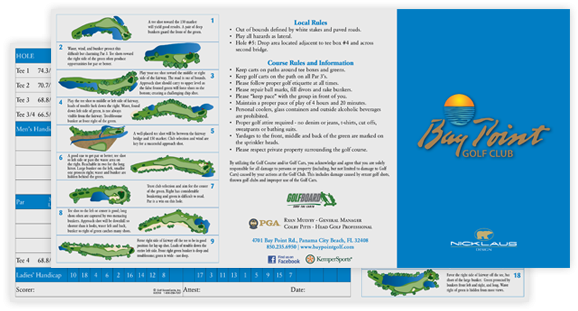 Get Your Custom Design in 2 Days – Whether you just want to “tweak” your current scorecard or prefer a whole new look, our team is ready to get going on your project. Switching is Easy – Simply email your logo, photo (if you want one) and current scorecard. To get started call us now at 800-238-7267. 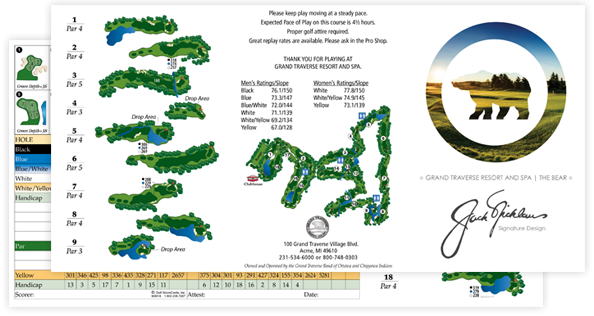 Many of Golf Digest’s Top 100 Courses Work with Golf ScoreCards, Inc.
Brent, we wanted to thank you for the excellent job your company did in making our new scorecards. Your personal service was outstanding, and we appreciate your attention to detail. You made me look good to our membership. Thank you. We love what we do and who we do it for. Like our customers, we’re lucky to work in a business that is also our passion. 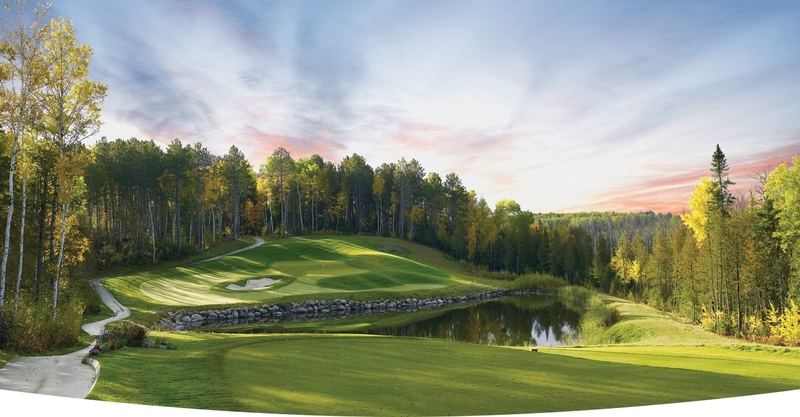 We feel equally lucky to work with the friendliest golf professionals around. 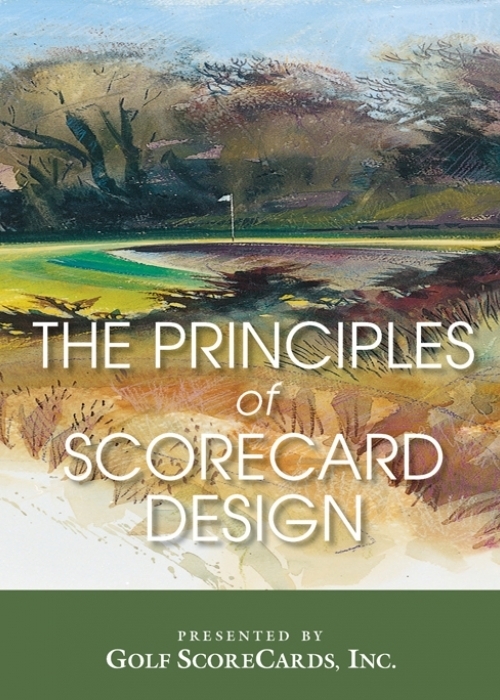 Check out our “Principles of ScoreCard Design” online video. 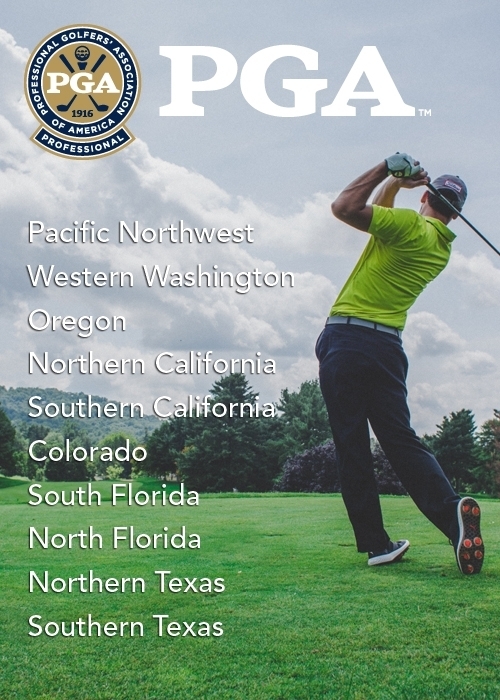 PGA members who watch the video and pass the short assessment that follows earn one PGA Education Credit.